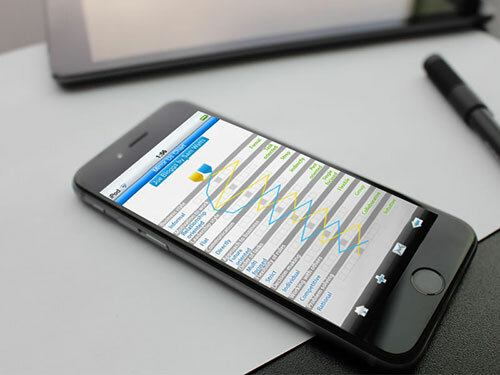 GPI (Global Performance Improvement), a London based boutique consultancy along with WITS Interactive developed an iPhone based app to improve personal and organizational performance in today's competitive international business environment. Our team created the first behaviour - based diagnostic tool in an app form for the iPhone. The app was created to be quick, easy to understand tool about raising awareness and measuring the raw perception of people's behaviour in their roles inside organization. It captures the raw perception of people at work and displays it for them to enhance their dialogue. You can create your own as well as the profile of other people using a user-friendly slider to capture data. Finally, you can chart and rank all the profiles after comparing the orientation. It is based on the seminal works of some of the most renowned anthropologist and social thinkers that have impacted business over the last 120 years. This app showcases its serious bit of fun where it has proved to be extremely favourable to nurture the coach in you and helps foster the dialogues that will lead to optimal working relationships between yourself and others.